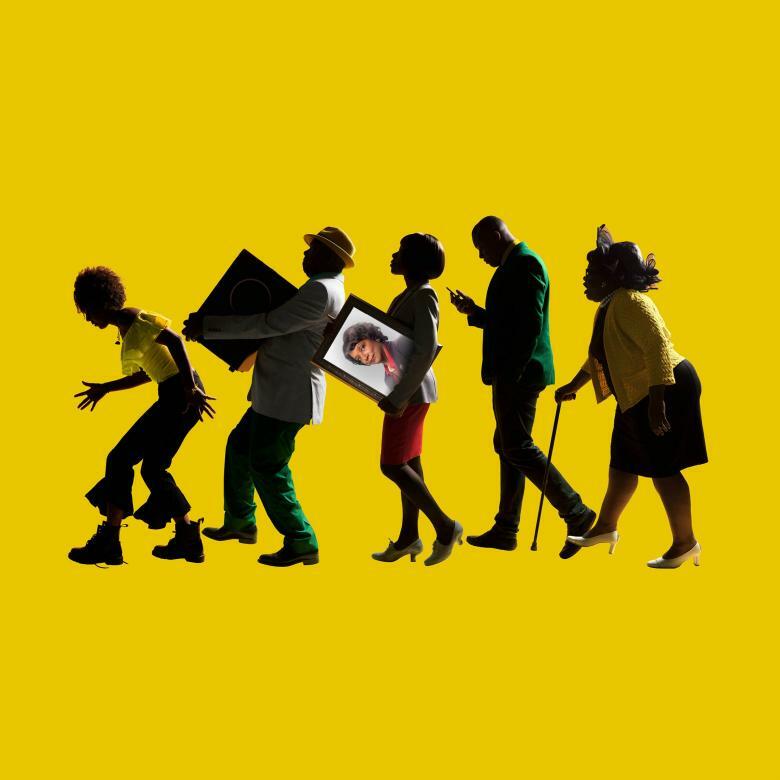 Natasha Gordon's play Nine Night is, I believe, the perfect play to be putting on at the National Theatre - the theatre that is for everyone. Nine Night is about the Jamaican tradition of celebrating someone's life for nine nights after they have passed away. The play comes as a voice from within the West Indian community and gives those who are not members of that community the rare opportunity of looking at and learning about a different culture. But it is accessible to everyone, as the play is about family, the effect that death has on people and about living in the present whilst maintaining ancient traditions. These themes are relevant to every single person. The family tensions that have been exposed through the death of Gloria are what drive the plot forward. After Gloria's death, having been terminally ill with cancer, the nine night ritual begins. Lorraine, Gloria's daughter, took voluntary redundancy to care for her until the day she died, but is filled with the regret and disappointment of having not been by her side at the time of her death. Lorraine's daughter, Anita, is independent and almost the definition of a strong woman. With a baby of her own at home, she confronts any criticism that comes her way from her uncle, Robert. He has a mind for making money, and is desperate to be rich so that he can show everyone who didn't want Jamaicans in England, that black people can be successful. His white wife, Sophie, is eagerly accepted and loved by his Jamaican family. This acceptance, however, is not reciprocated by Sophie's mother. Aunt Maggie and Uncle Vince want the Nine nights to be carried out exactly as it is in Jamaica, and Maggie wants Trudy (the half sister of Lorraine and Robert) to be present for the funeral. When she does arrive in England from Jamaica, the family tensions rise ever more. The script is absolute gold. Everything is so realistic and the situations are completely believable. 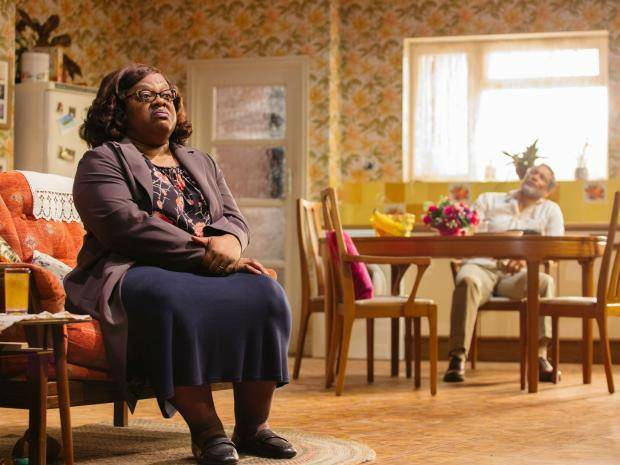 Natasha Gordon somehow manages to make exciting and engaging theatre out of a family sitting round a table and discussing plans for a funeral. The audience was so engrossed in the action that when insults were being shot across the stage there were audible gasps and nervous laughs. Never have I seen a play that is so absolutely hilarious and yet also so achingly sad - I think it is a work of genius. 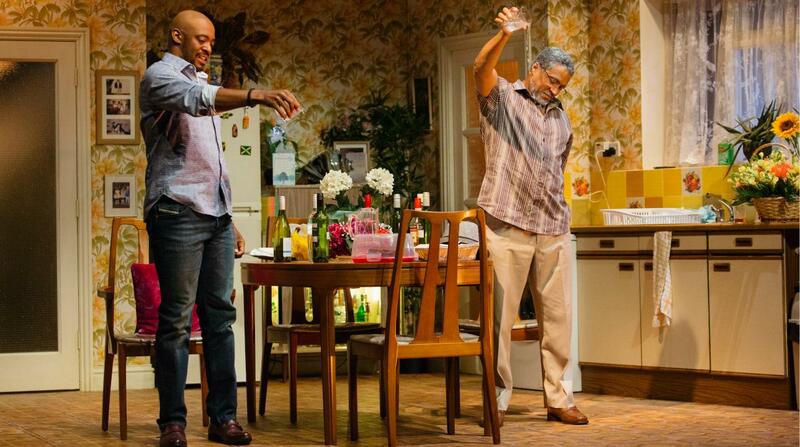 The play was set in the kitchen, and the stage design was marvellous. There was a functioning hob (on which soup was actually cooked! ), a functioning tap and a kettle, not to mention all the homely things scattered around; slippers on the carpet and shelves covered in bits and bobs. Not a single detail was left out. The acting was fabulous. Cecilia Noble as Aunt Maggie was too funny for words - her disapproving glances and witty remarks (delivered brilliantly) dominated every scene she was in. It was downright hilarious and everybody was laughing - Noble definitely gave the stand out performance of the night. You do not have to be an expert in Jamaican culture to understand it all - I identified a little bit of my Granny in the character of Aunt Maggie! Franc Ashman as Lorraine was wonderful as well. She was the one who had sacrificed the most for Gloria, and yet got little to no thanks or appreciation for it. But right at the end, Lorraine comes forward and has her moment, and Franc Ashman performs her final, heart-breaking monologue so powerfully that she moved at least half of the audience to tears. I cannot recommend this show enough. It is probably the funniest show I've ever seen, and yet at the same time, one of the saddest and most moving. I would recommend Nine Night to everyone, it really is a show for the whole nation. I do hope that it continues after its run at the National. A fine, fine piece of drama.